How technology is changing the world? As a technologist we truly believe that technology can change the world for the better but to do that we must make it accessible to all genders and across all ages. We know that computing is the future and we know that children are engaging in technology. Hence it is imperative that we adapt to this change by teaching children early on about the basics of computer coding. These games teach the basic building blocks of coding and engineering without having a child Google it to computer screen. We want our children to develop those necessary skills but we don’t want them to unnecessarily spend hours and hours in front of a screen. And the fact, without a doubt that we will hand these products to our children for making technology accessible to all the children out there. So, here is the list of toys and games that can make your child a better coder and programmer at the very beginning that too while playing. A friendly wooden robot for small hands with big imagination made for girls and boys who ages 3 and up. Cubetto will help you learn computer programming through hands on play. There are three elements Cubetto, Board and Blocks. The blocks are the codes you can touch, board is the control panel. The blocks are forward, left, right and function. Write a program with the blocks that will help you go from point A to point B. And, use the function for subroutine and loops. So, what are you waiting for, let us play! Meet Dash and Dot, fun, easy-to-use interactive robots. They teach kids about programming with hands on play. Dash and Dot are ready to play right out of the box and can be programmed without free apps for your phone or tablet. Kids start learning right away with an easy to follow tutorial and hundreds of pre-loaded missions. It can be programmed on its own as a quickie magic dot ball. Dash can dance re-surround the house respond to objects and sounds and records your child’s voice for a fun surprise. Kano is a machine everyone can build. This is specifically for kids aged 6+. In Kano you can build a screen, code better pictures, hack Minecraft, etc. It comes with a Raspberry Pi 3 processor, wireless keyboard, speakers, HDMI and power cables. In kano you can even code your own music and games by yourself. We can build our own computer by using simple steps and instructions. Once you are done with assembling your own machine its ready for coding on the go. It’s a new hand on learning game system that teaches students how to program and code using 22 programming puzzlets and a Bluetooth Cloud. Bluetooth cloud is a coding board. It has problem solving, logic and reasoning, spatial relationships and you can explore about 120+ levels. It has feature where if a child gets stuck on one level, the game automatically sends email updates to parents with tips to help a child get unstuck as well as child’s progress within the game. This game is also specifically for kids aged 6+. A STEM Robot Mouse Code Activity Set by Learning Resources is an educational fun toy. So basically, this is starting to get your kids learning coding. It is a part of the STEM that is Science, Technology, Engineering and Mathematics. It comes with the coding cards to generate the path for Colby – the Programmable Robot Mouse. There are grids for setting up the whole platform for Colby to race and find its way that includes 22 maze walls, a maze board, and 3 tunnels. 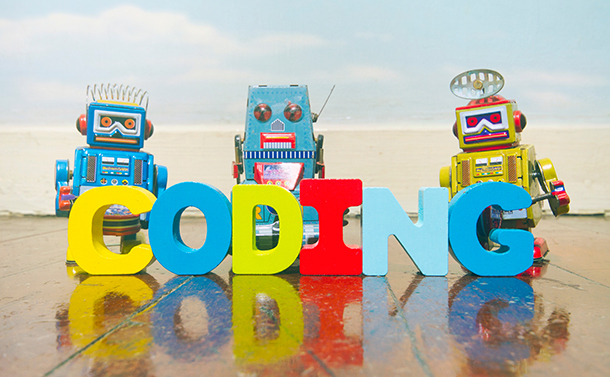 Get these amazing toys and games for your kids to make them more playful and better at coding. Please comment and provide your feedback if you found this helpful or have any suggestions! !